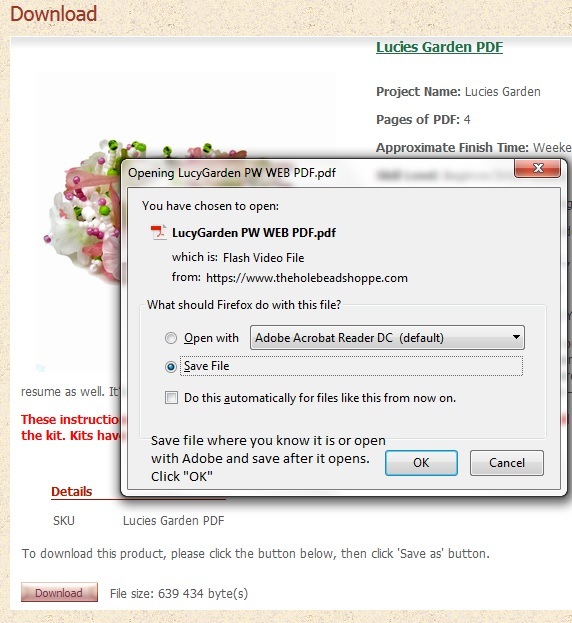 How to use Coupons and download electronic patterns. The Coupon code must be entered in the box provided at the bottom of the cart page or in the coupon section at the checkout page. 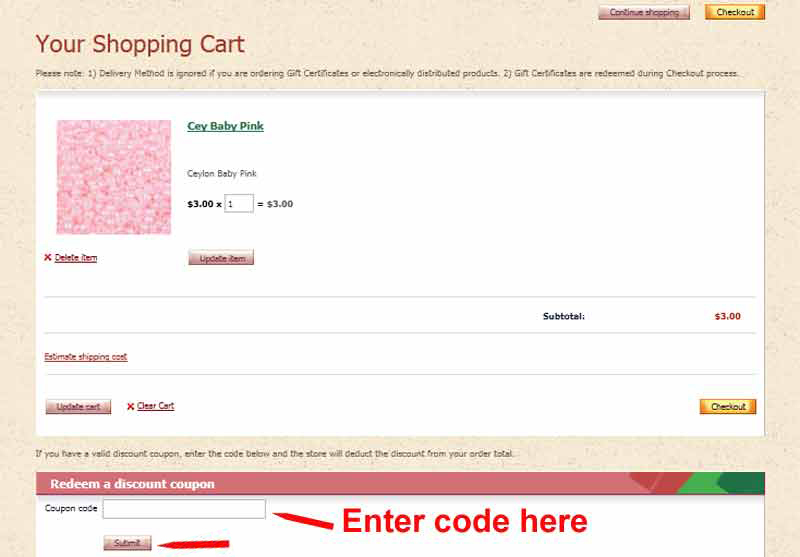 The order totals area will show "Discount coupon" and you will see the coupon code if done correctly. After the code is entered you must hit submit. The discount will show up in the totals. If the discount is not applied please e-mail us before you checkout. Open the email containing the reciept of your items from "The Hole Bead Shoppe". Click the blue hyperlink that says "Download". 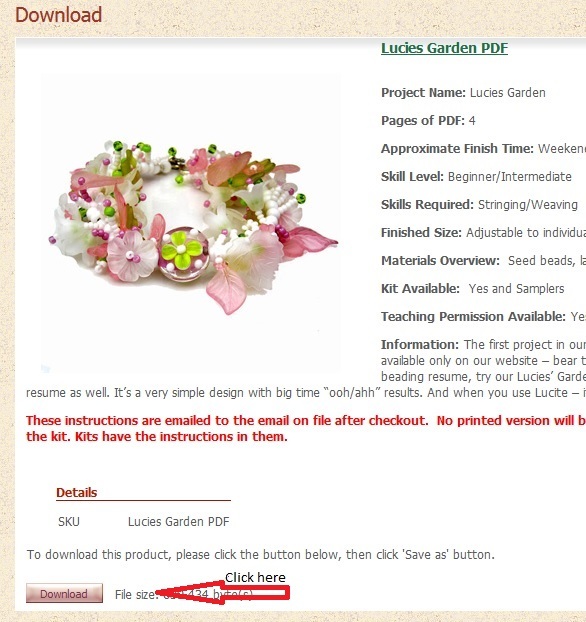 This will take you to the download area of the pattern you have purchased. Click the pink download button and a new window should open as long as your browser is working correctly. There should be an image like below. If there is not look at the bottom left of your screen if you are using chrome browsers. If the download does not work please contact us and please explain the problem you are having in detail.